I never celebrated Memorial Day growing up. That's not to say that I grew up in an unpatriotic home. To the contrary, my homeschooling mother had me and my sister pledge our allegiance to the flag every morning before the class day began. My family wasn't averse to traditional holiday celebrations either: we had a picnic every 4th of July and went camping every Labor Day. Honestly, I don't think anyone in my family could say why we never celebrated it. And I think that's the point. Most people just don't know what to do with it. Many of us don't even know what Memorial Day is about. It's not a celebration of our freedom in America. That's the 4th of July. And it's not a time to thank our servicemen and women. That's Veterans' Day. 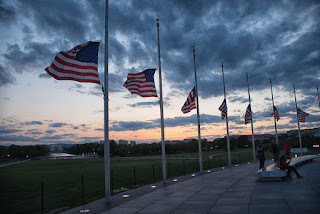 Memorial Day is a time set aside to remember fallen soldiers. Which means it is not a time to celebrate; it is a time to mourn. Some will say, "Of course, it's a time to celebrate! We're celebrating the freedom that their sacrifice purchased!" First (and again), freedom has its own day. Second, where exactly in your plans for the day have you made time to remember that lives were lost? People died so that you can have the freedom to ignore them amid your vacations, barbecues, and wardrobe changes. But you won't find anyone donning sackcloth and ashes. On a day that is better known as the inauguration of the summer fashion season, it is painfully obvious that our culture has an aversion to mourning. We do the same thing with Good Friday. We're happy to celebrate the victory Christ won for us, but we frequently avoid meditating on the sacrifice it took to do it. In an economic climate given to debt, it should come as no surprise to us that the concept of cost seems foreign. Instead, we have a day where retailers try to convince us that we can purchase luxuries for next to nothing. But where there is no cost, there is no gratefulness. Ungrateful is not how I would describe New Yorkers. On September 11th, 2001, the FDNY lost over 300 firefighters who were only trying to save as many people as they could. But you won't find anyone perusing the sales for a cheap grill on 9/11. 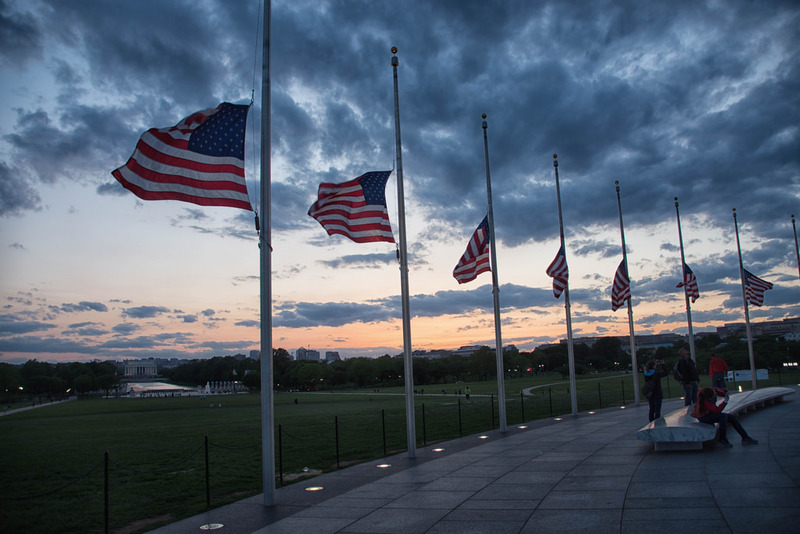 Instead, you'll find flags at half-mast and a moment of silence observed around the city. Now, I realize that this is a national tragedy as well as a memorial, but the point persists that loss of life is no celebratory matter. That's why mourning is important; it reminds us that life is so short and extremely precious (if you disagree with the latter, have a baby). And when life is divorced from death, you can expect to find yours in the clearance section.